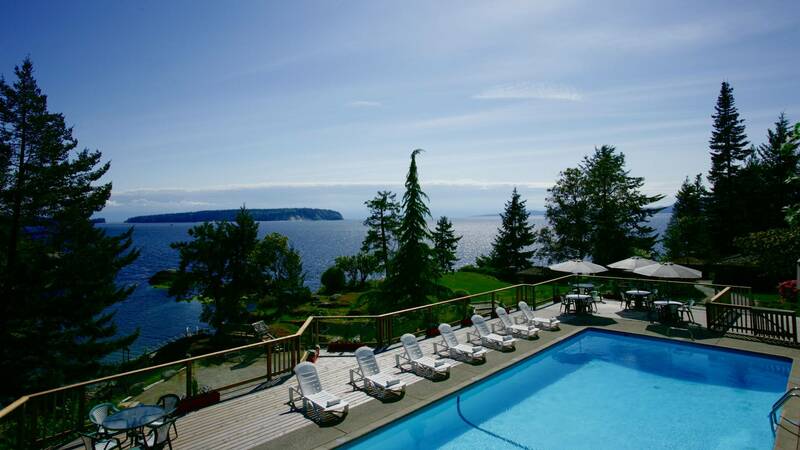 Overlooking the Malaspina Strait is the Rockwater Secret Cove Resort, nestled into a cliff and providing a perfect private paradise in the stunning setting between ocean and forest. 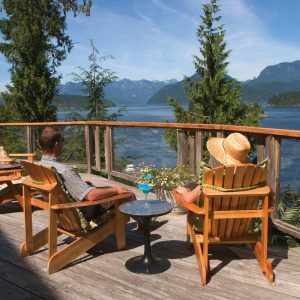 Treetop boardwalks and wide lawns above the cove blend with cabins and unique tented suites, making the landscape an integral part of the experience here. 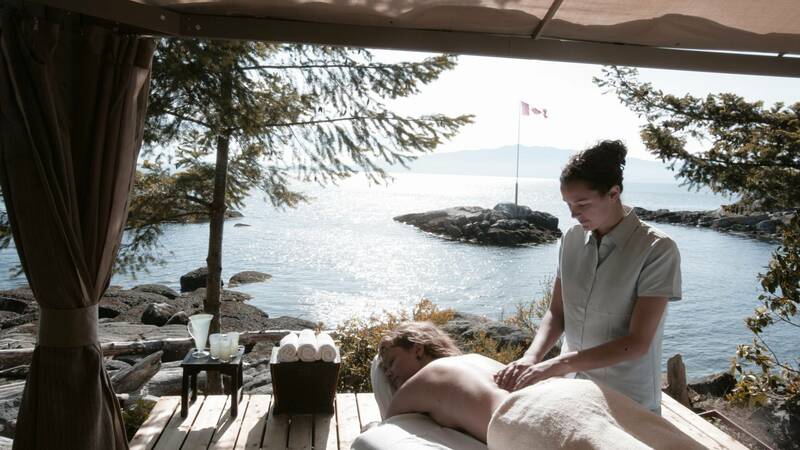 The spa offers massages – delivered on a bluff overlooking the sea – and also esthetic treatments within the poolside lodge. 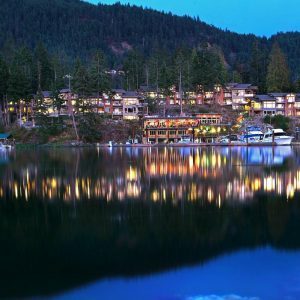 Dining is centred around West Coast cuisine and local produce, and served to an excellent standard. 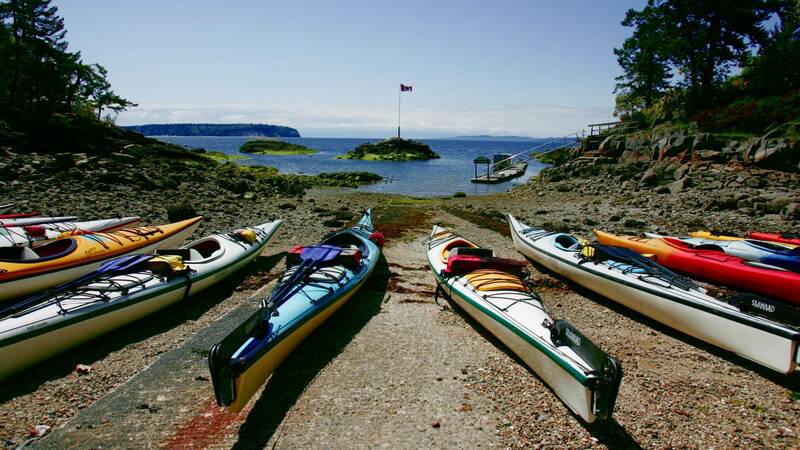 For those wishing to do more than relax, the activities on offer include kayaking along the shoreline, hiking and mountain biking through old growth cedar forest or along coastal trails. 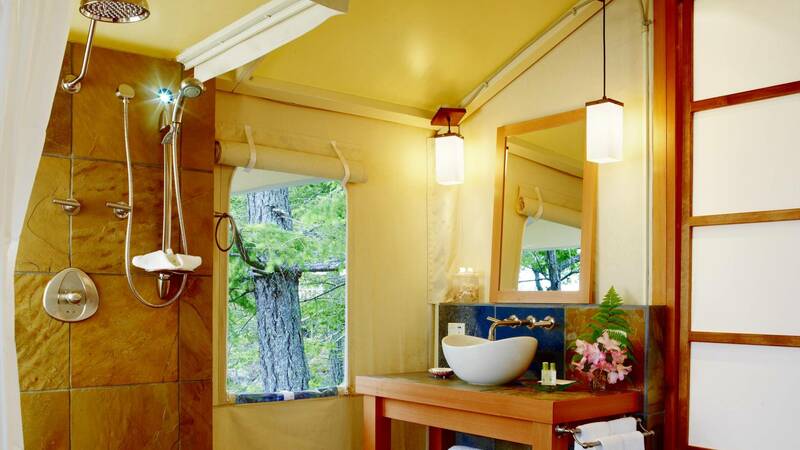 This is an ideal destination for anyone looking for some luxurious pampering. 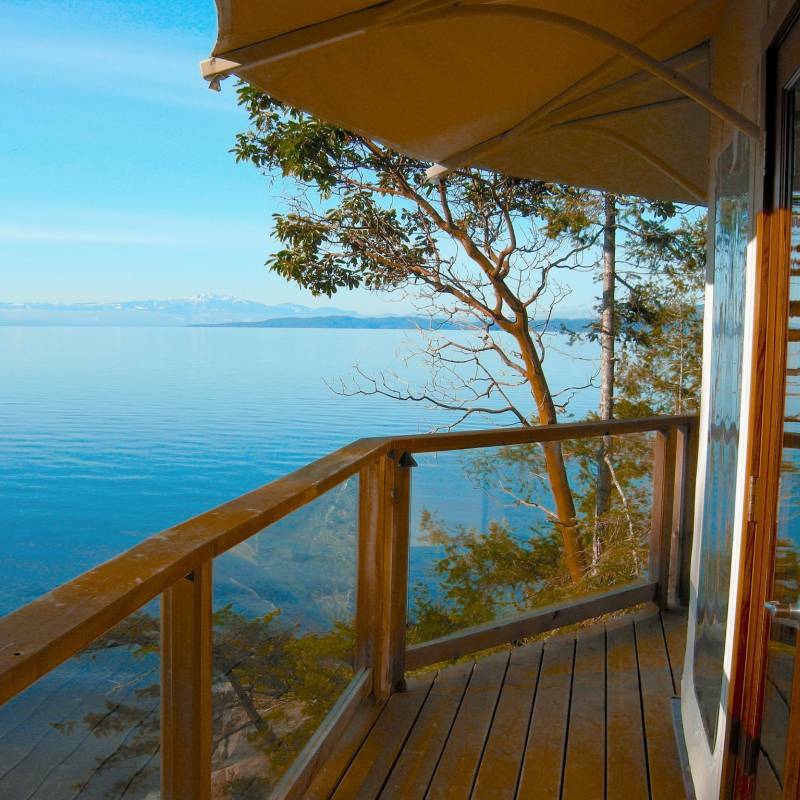 And if you don’t want to drive, there is a Harbour Air service direct from Vancouver to Sechelt. 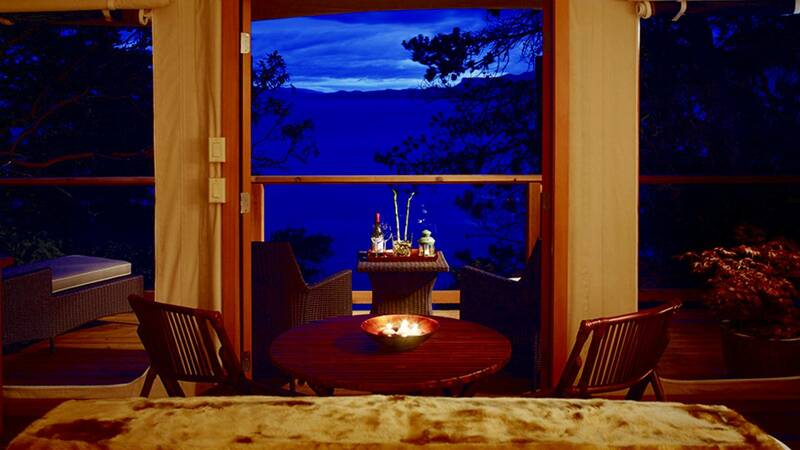 We highly recommend the Tenthouse Suites which offer a private and peaceful space. 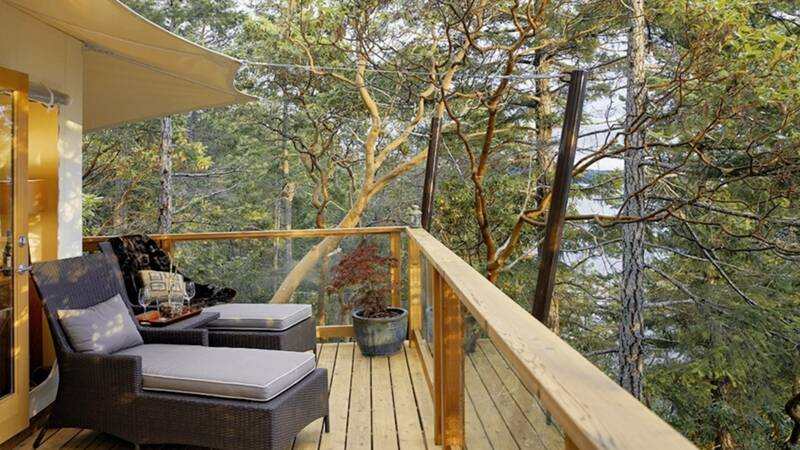 Set within the trees and with views over the ocean and Secret Cove, this seclusion includes a kingsize bed, private veranda, heated slate floor and hydro-therapy tub and on call service. 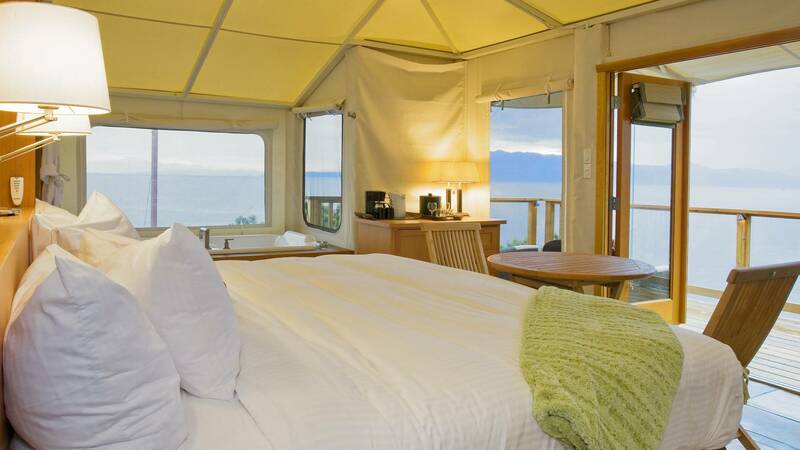 The Tenthouse Suites are unique and the landscape and service are second to none.